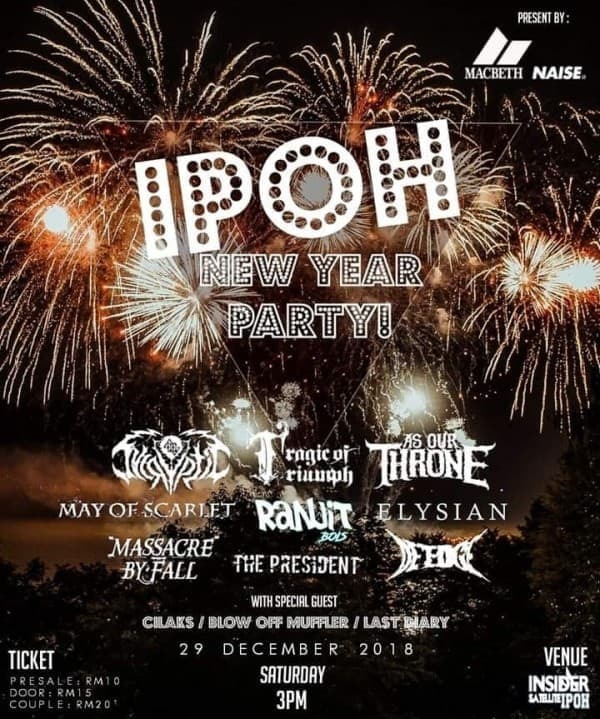 Proudly brought to you by As Our Throne , Macbeth and Naise is IPOH NEW YEAR PARTY... 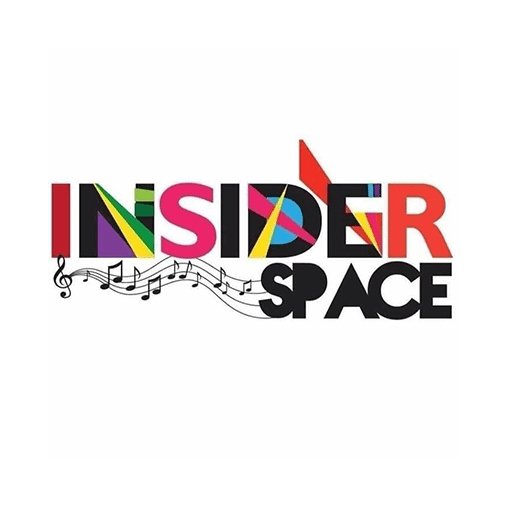 It will be happening at Insider Satellite Ipoh on Saturday, 29th December 2018...Be there and celebrate with these twelve local acts Cycryptic , Tragic Of Triumph , May Of Scarlet , Ranjit Bois, Elysian Band , MASSACRE BY FALL , The President, De Edge and more...See you there before 2019 came guys!! !